Home » Muscle Builders » Creatine Monohydrate Review: The Best Creatine? Creatine monohydrate is the real deal! Yes, despite the advertising hype you see when you flip open the pages of any popular bodybuilding magazine on the market, no other form of creatine can boast the reams of published, clinical evidence showing it works. In fact, creatine monohydrate is the only creatine that has been conclusively studied. All other forms… well, they may work as well, or they may not. There’s no evidence either way. Speaking of evidence, here’s a bit for you to check out; J Am Diet Assoc. 1997 Jul;97(7):765-70, Med Sci Sports Exerc. 2002 Feb;34(2):332-43, Med SCI Sports Exerc. 1998 Jan;30(1):73-82 , J Strength Cond Res. 2003 Aug;17(3):425-38). And that’s only scratching the surface. There’s a ton of positive sports-centric data on this supplement. For instance, this study showed training with creatine monohydrate improves upper-body strength in patients with Parkinson disease. And this one showed it was effective for strength increases in men over 70. Still another shows it helps individuals with muscular dystrophy. And creatine monohydrate supplementation offers other benefits as well; it may help protect against neurological disease and atherosclerosis, manage stroke-like episodes, and may even alleviate some of the symptoms of fibromyalgia. No doubt about it, creatine monohydrate is a big deal! So let’s talk a little more about it. In the past, I have written about creatine safety and side effects, how creatine works, what you can expect from it, and so on. For the sake of simplicity, let’s compile the core elements of those articles into this one, so you don’t have to jump all over the place. Let’s get started with the most obvious: how it works. Put simply, creatine monohydrate provides the raw material necessary for the “re-energization” of the energy creation process in the cell. It re-energizes the ATP energy molecule which becomes ADP (adenosine di-phosphate) after being depleted. Don’t worry if this means nothing to you. Your take home lesson is a simple one; more raw material available for energy creation means more contractions. More contractions means more work. Not quite. While a small minority of people may be creatine “non-responders”, it will work for most. However, supplementing with creatine monohydrate can cause “cell volumization” and even water retention. Although water retention has been documented with creatine usage, it is likely a result of excessive sodium content, and not the creatine itself. Sodium may be included in a significant amounts in poor quality and cheaply manufactured products. “Cell volumization” means water is drawn into the muscle cells. Depending on how large you are physically it is possible to gain up to 10 lbs of weight within a week to ten days after beginning supplementation. This is water weight, not muscle. It’s a perfectly safe and acceptable side effect, and yes, this 10 lbs. will disappear shortly after you stop using creatine. But it has nothing to do with whether creatine works or not. What creatine does do is allow you to perform more work (i.e. more repetitions), which forces a greater adaptive response. In other words, if you are now doing 12 reps of a weight you used to only do 10, your body has to “adapt” to this increase in workload by building that much more new muscle. What about creatine safety and possible side effects? Other studies (Med Sci Sports Exerc. 2001 Feb;33(2):183-8) back up this conclusion, and one study, performed over the course of a year (Int J Sports Med. 2005 May;26(4):307-13) concluded there was little health risk in long term creatine supplementation. 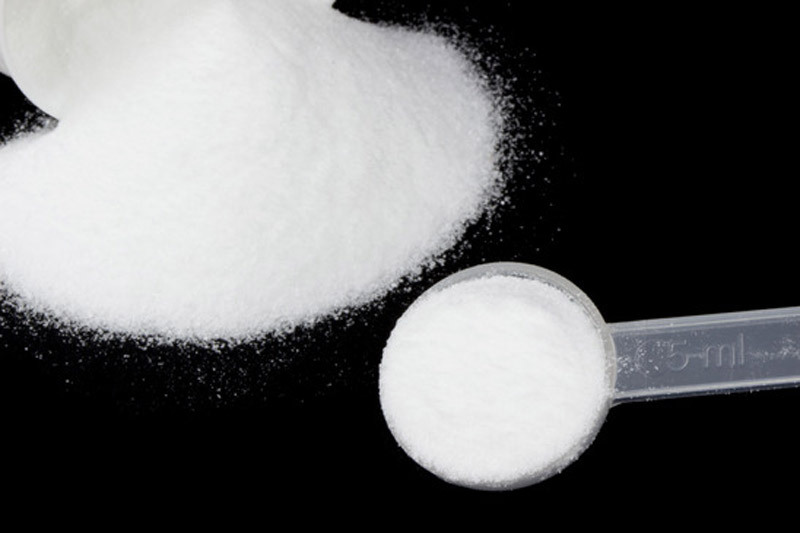 For most people, creatine is quite safe. Note: If you’re concerned about consuming large amounts of creatine, skip the loading phase (the one-week period where you saturate your muscles with a high-dosage, usually 20-30 grams). Your muscles will eventually reach saturation with a lower dose, it just takes much longer. And you don’t need much; 5 grams a day is all any of us needs. Plus, many experts even argue about the merits of a loading phase. I’ve never noticed a difference with or without one myself. I’ve also felt the loading phase was perpetuated by the retailers, who stand the most to gain by having you go through half your product in the first week of supplementation. Usually mild and generally quite rare: diarrhea, nausea and water retention. So what are my options for supplementation? Any high-quality creatine monohydrate will do—preferably Japanese or German. No, don’t buy cheap Chinese-source creatine. It is often an inferior product, and may be contaminated. Even a good quality product is relatively inexpensive, so there’s no reason to cut corners here. Try AllMax’s creatine monohydrate from BodyBuilding.com—it’s sourced from German creatine. How to Take Creatine Monohydrate? Powder form is the most economical way to take creatine, given that a fairly large daily dosage is required. Research shows you can stack creatine monohydrate with either carbohydrate or protein for optimal absorption. According to this study, 5 grams of creatine with either 50 grams of protein or 100 grams of carbs works best. My personal recommendation is to toss a serving into your post workout shake (which should contain a blend of protein and carbohydrate, and then forget about it! Any offering by a quality brand name offering a German or Japanese sourced creatine is your best option. Beware of exceptionally cheap products, since inferior processing processes may yield impurities that may result in unwanted side effects.